Originally conceived by the maker Adriana Breukink in 2008, the 'Eagle' recorder has rapidly developed into an instrument which combines a large sound with a wide range � making it ideal for playing with modern instruments. 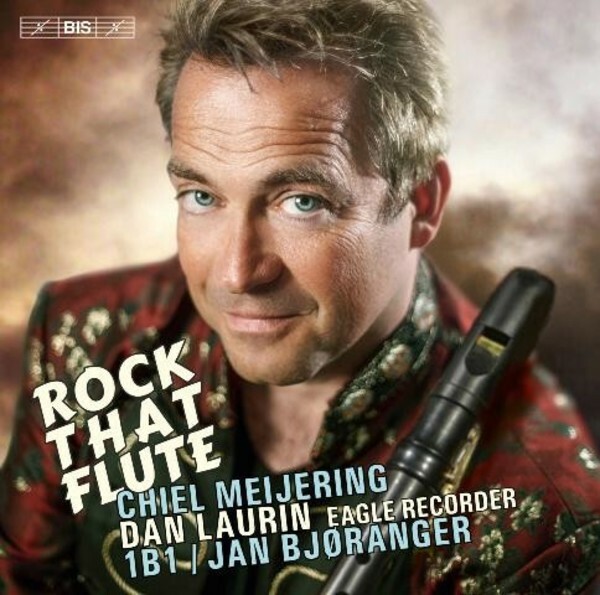 When the Swedish recorder virtuoso Dan Laurin first encountered it, he was fascinated but also puzzled. What kind of music could he play on this instrument? Coming into contact with the Dutch composer Chiel Meijering he soon found out: Meijering � who had started to write for the recorder as early as 1979 � had developed a passion for the new model. As their correspondence developed, Laurin was struck by the very personal language in the compositions that he kept receiving from the composer. Dividing his own music into four categories � 'dreamy/nostalgic/rocking/(heavy) metal' � Meijering told him that the roots he had always had in pop music had gradually become more and more important. Soon thoughts of making a recording emerged, and took definite shape when the third, vital piece of the puzzle was found: the fresh, young string ensemble 1B1 from Stavanger in Norway, and its founder, the dynamic violinist Jan Bj�ranger. Their collaboration has borne fruit in this disc with fifteen individual movements (from thirteen concertos), selected by the performers and the composer during the recording sessions.